Shade Garden, Jessica Labatte’s second solo exhibition at Western Exhibitions, continues the artist’s explorations of paradoxes and illusions within photographic images. The works in Shade Garden champion beauty in the everyday as a radical political gesture in our contemporary moment. The images explore photographic notions of the visible and invisible, the present and withdrawn. Shade Garden will include two interrelated series of color photographs. The first series is a group of floral still lives. Small and medium sized prints will be installed in a salon fashion in the gallery alongside three monumentally scaled prints. Marking temporality in the everyday domestic space of the artist’s home and garden, Labatte has photographed every flower that bloomed over the course of one growing season. The pictures incorporate indexes of nurturing and domestic spaces–the clutter of objects and materials that accompany parenthood and artistic practice. Challenging myths of artistic practice and motherhood espoused by early feminist artists, these works look to depict new definitions of feminist art practice. The second series of photographs capture the experience of being in the garden, as color and dappled light are constantly in flux. In these seemingly abstract works, color, light, and shadow explore an imagined virtual space beyond traditional notions of photographic representation. Drawing inspiration from Hilma af Klint, and early photographic abstractionists such as Lazlo Moholy Nagy, these works meditate on color, time, and sensation as an alternative present within the everyday. 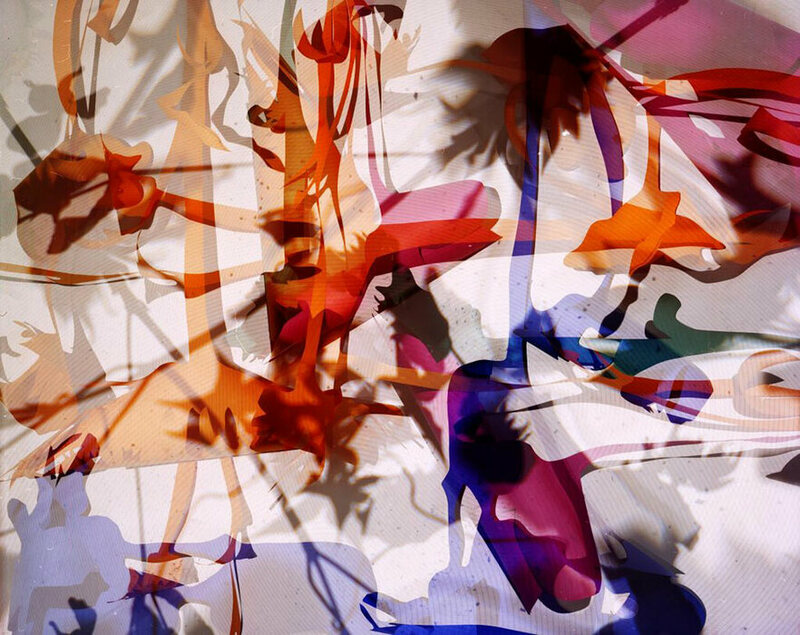 To create these brightly colored images, the artist uses film and a large format camera to capture multiple exposures of collaged color paper. This process allows one image to fuse with another, obscuring and revealing forms, textures, and the fleeting effects of light and shadow. These depictions create a virtual space that becomes a metaphor for the visible and invisible within society, photographic image making, and art. Top image: Shadow Plants 1, 2018, archival inkjet print, 30 x 40 in.